The elegant game of Roulette was developed in France, but thanks to its simple gameplay and broad appeal, it quickly spread to other parts of Europe and America. Several variants of the game developed over time. Today, the most popular ones are European Roulette, with one zero, and American Roulette, with a zero and a double zero. Roulette is generally thought of as a luck-based game, however, some professionals might disagree. Whilst it is impossible to affect the outcome of the game, there exist some strategies to maximise potential wins when the ball falls in the player's favour. At the start of the 21st century, the popular table game found its place in online casinos. The endless possibilities of virtual games led to an incredible number of variations of the game, including a lotto style and a pinball machine style. Wagering also became more accessible, with lower running costs resulting in lower minimum bets. With the advancement of technology, Live Roulette games were invented. These became popular as the dealer was able to inject some of his or her own personality and charisma into a virtual game. Evolution Gaming led the rise of Live Roulette games whilst also embracing the new opportunities of technology. 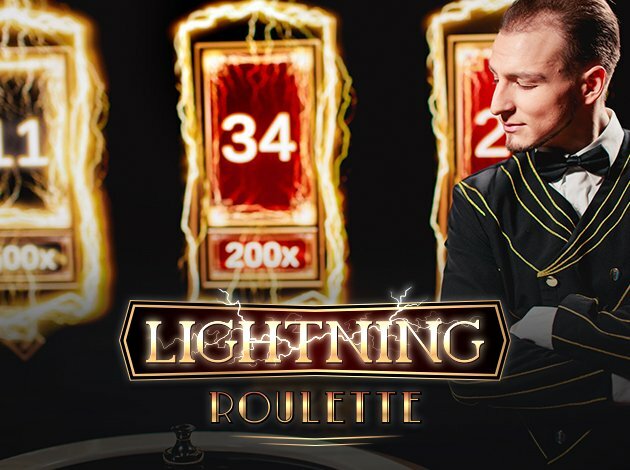 As a result, the gaming provider has created Live Lightning Roulette, which combines the thrill of the table game with the entertainment of a live television show. The latest Roulette variant has already won the Product Innovation of the Year at the Global Gaming Awards and the EGR's Game of the Year 2018. A live dealer presents the show and is accompanied by the traditional European Roulette wheel. At first, the table appears missing, however, you will quickly spot it on the wall behind the dealer in a digital format. The most distinguishable feature of the game is random lucky numbers which are chosen at the start of each wheel spin. Between one and five lucky numbers are chosen and these can give payouts of between 50x and 500x your wager. The only condition to this special prize is that you must have made a Straight Up bet on the number. If you make a non-multiplied Straight Up bet you still have the opportunity to win a 30x multiplier. The rules of Live Lightning Roulette are very similar to the standard European Roulette rules. Before the wheel is spun you are invited to place your bet or bets using your game interface. 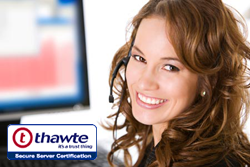 By choosing Straight Up bets you have the opportunity to win the special multipliers. However, you can also opt to stick to other bets, such as Red/Black or splits, which offer the standard multipliers. Once the wheel starts spinning all bets are final and your attention focuses on the spinning wheel. The dealer keeps you entertained until the ball lands on a number. Depending on your bet you will see any winnings on your screen. Just like a television show the action is fast-paced and in order to keep things moving quickly, you have a limited time to place your wager before the next spin. Evolution Gaming are well-known for providing professional studios for their live games. With Live Lightning Roulette they have pushed the bar higher than ever. The dealer is the show's presenter and he or she holds a microphone to the mouth and explains the game as it progresses. With all of Evolution's live games, players can interact with the dealer through a live chat and, depending on time, the dealer will answer questions and interact with the players as well. You can play Live Lightning Roulette on your favourite digital device. The game interface adapts to your screen size to make it convenient to place your wager whilst following the on-screen action. Behind the dealer is the game's table which updates to show all of the player's wagers. Once the ball starts spinning the table disappears and a lightning visual appears. This quickly transforms into the round's lucky numbers and payouts. The live game is accompanied by a mix of soundtrack and sound effects which play at different stages. Apart from being entertaining, the sounds also give the game a face-paced characteristic. You shouldn't be surprised if you catch yourself smiling as you watch the dealer's reactions to the loudest sound effects. Live Lightning Roulette by Evolution Gaming is the result of innovative technology combined with creative talent. This entertaining game would appeal even to players who might not like traditional Roulette because they find it monotonous. With the right mix of visual and sound effects and a variety of charismatic dealers, you are sure to have lots of fun playing. The lucky numbers and payouts present a unique opportunity to bag massive wins and make every round exciting. Play Live Lightning Roulette on Videoslots.com today and be the protagonist of your own television show.